Like all cellular organisms, humans run on electricity. Slight imbalances of electric charge across cell membranes result in sensation, movement, awareness, and thinking—nearly everything we associate with being alive. 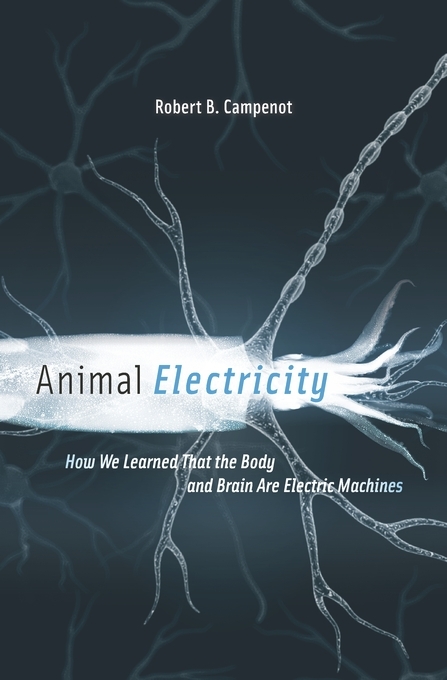 Robert Campenot offers a comprehensive overview of animal electricity, examining its physiological mechanisms as well as the experimental discoveries that form the basis for our modern understanding of nervous systems across the animal kingdom. Cells work much like batteries. Concentration gradients of sodium and potassium cause these ions to flow in and out of cells by way of protein channels, creating tiny voltages across the cell membrane. The cellular mechanisms that switch these ion currents on and off drive all the functions associated with animal nervous systems, from nerve impulses and heartbeats to the 600-volt shocks produced by electric eels. Campenot’s examination of the nervous system is presented in the context of ideas as they evolved in the past, as well as today’s research and its future implications. 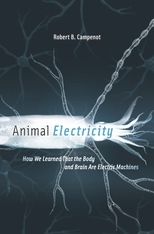 The discussion ranges from the pre-Renaissance notion of animal spirits and Galvani’s eighteenth-century discovery of animal electricity, to modern insights into how electrical activity produces learning and how electrical signals in the cortex can be used to connect the brains of paralyzed individuals to limbs or prosthetic devices. Campenot provides the necessary scientific background to make the book highly accessible for general readers while conveying much about the process of scientific discovery.